Heading to Siem Reap? Tips on where to stay, what to see and what to eat. 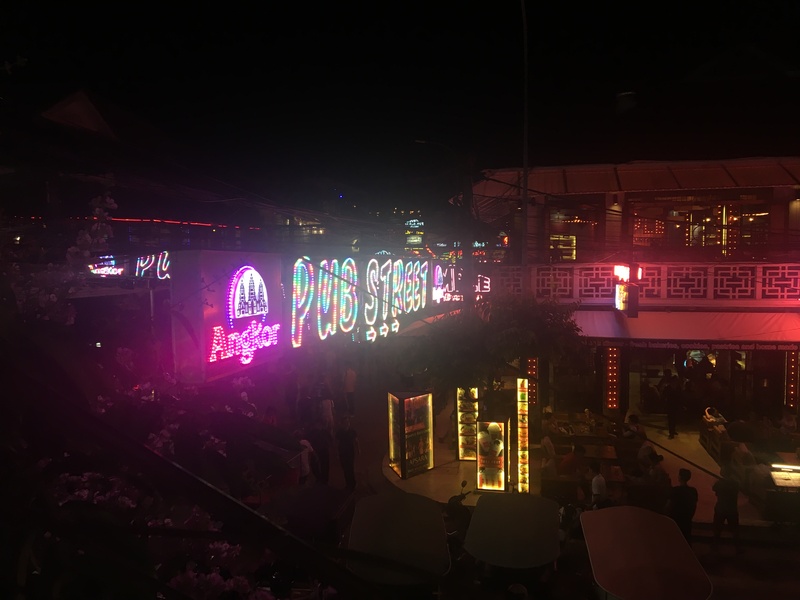 Our first destination in Cambodia took us to Siem Reap; a place known for the spirituality of Angkor Wat juxtaposed by the vibrancy of Pub Street. We clambered off the bus to the echo of Tuk Tuk drivers: “Tuk Tuk sir? Tuk Tuk Madame?”…unsure when I stopped being called miss, to now being Madame, not sure if I like it. Anyway, off we went to our hotel. 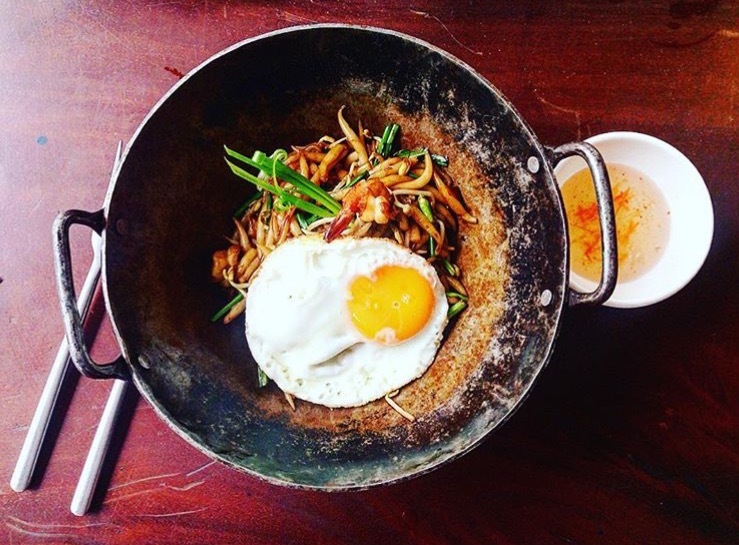 We stayed at Angkor Pal Boutique Hotel…two nights for a mere £18 including breakfast. All booked on the Booking.com app (recommend this app to anyone, over time you become a genius member and receive secret discounts). The room was great, especially after the tin we stayed in on Koh San Road. Large bed, it was clean and it had a window! When travelling you come to realise that windows are rare. The pool area was beaut, lush with plants and very tranquil. They also sold beer for $1. Location wise, the hotel is down a small alley which is a short walk from bars, restaurants and shops. A great spot to retreat and escape from the madness. We loved our stay here and would recommend it to anyone. 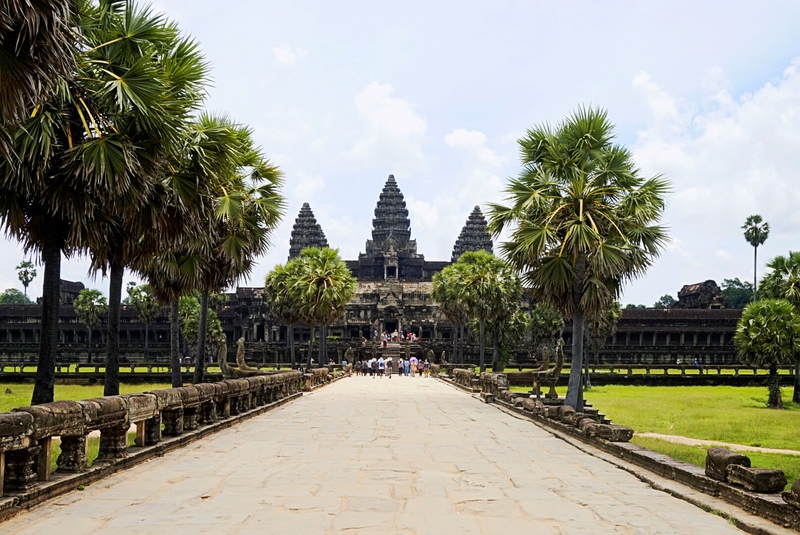 Angkor Wat is the largest religious monument in the world built by Suryavarman II. The scale and intricate details of the complex of temples is awe-inspiring. Head to the temple for sunrise. With a pick up of 4:30am, it is a commitment but one worth doing. You will be surround by large groups of Chinese tourist who will elbow you if you’re in the way, but be strong and forget the British ways for a few minutes. A small tour around the temples is best done by Tuk Tuk and should cost $15. Most hotels organise this for you, ours provided a small packed breakfast too (cute!). Stop, take it all in and capture the moment. • Dress appropriately – shoulders and knees should be covered. • Hydrate – it’s hot, drink water – it’ll keep you sane. • Tuk Tuk – they’ll try to talk you into taking many trips. Be polite but stay strong. Some might see it as Cambodia’s answer to Malia, but I liked it. Dotted with restaurants, bars and random Australian promoters, it really is a different vibe to the day exploring the temples. Tuk Tuk drivers and sellers will hassle you but again, smile be polite and stay strong! Try the street food, take in the lights and enjoy! The best part is the small, Tuk Tuk bars that appear after 11pm selling cheap alcohol. We ended up playing Connect 4 with a ten year old whilst sipping on a Tom Collins…only in Cambodia! • Angkor Whatttt? Bucket with half a bottle of spirit for $8. Enough said. • Laundry – slightly more sophisticated, you can sip on a gorgeous cocktail whilst listening to James Brown. Explore, barter and find yourself some knock off Nikes. It’s full of Asian trinkets and beautiful fabrics. There’s also some lovely street food vendors outside if all the shopping makes you hungry! Remember to BARTER – half the price then work your way up. Never buy anything for the original price. There are a few dishes one must try when in Cambodia. 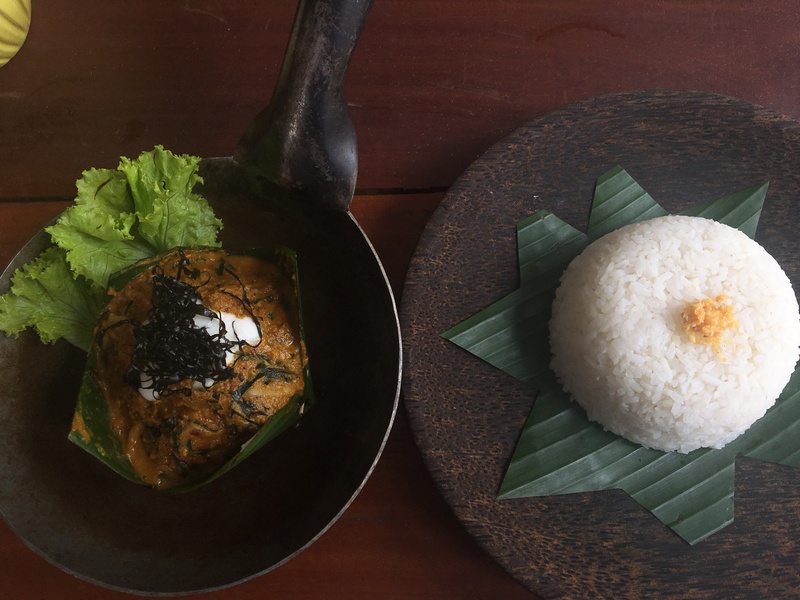 The Khmer culinary scene isn’t overly vibrant in Siem Reap, nonetheless these two traditional dishes to try are packed full of flavour and available at nearly all restaurants in the area. Known as Cambodia’s national dish, fish a mock gets its signature flavour from the aromatic curry paste used made with lemongrass, galangal, fresh turmeric, shallots, garlic and chilli for that little kick. The paste is combined with coconut milk making for a beautiful, creamy curry taste explosion mixed with white fish and shredded kaffir lime leaves. The curry is served in a banana leaf bowl with some sticky rice – delish! Cambodia’s answer to the traditional stir fry; lok lak is beef stir fried with onions, cucumbers and tomatoes dipped in a sauce made of lime juice, salt and pepper. The beef is served with rice and a fried egg on top. Simple, but delicious. If you’re feeling adventurous, fried tarantula is a speciality of Cambodia…I didn’t have the guts to try it, but you might. Previous Travelling: the time has come but what to take?